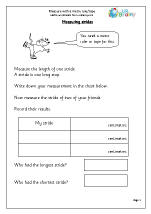 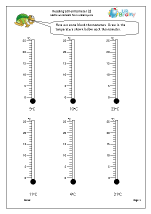 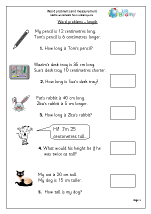 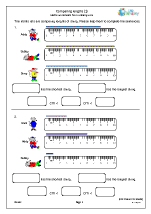 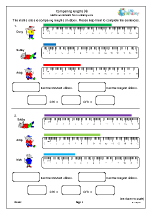 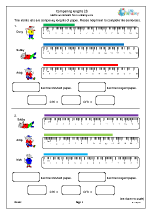 Compare and order lengths, choose and use appropriate units to measure length. 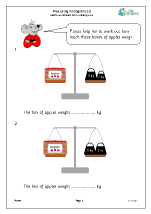 Compare and order mass/weight. 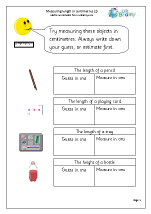 Choose suitable units to measure. 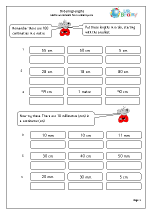 Compare and order capacity/volume. 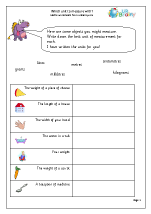 Choose suitable units to measure. 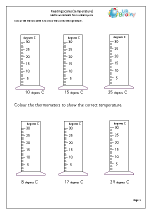 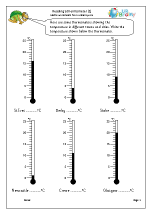 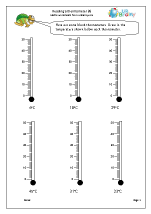 Reading temperature using a thermometer to the nearest appropriate unit. 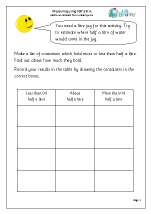 Measuring using units of mass, capacity and length. Standard metric measures are introduced, including metres, litres and kilograms. 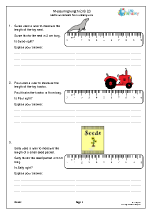 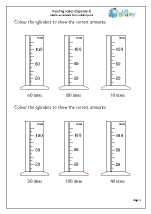 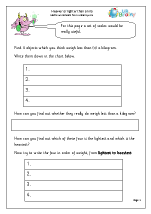 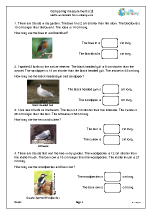 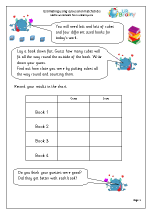 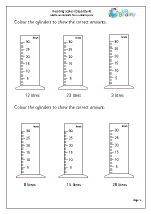 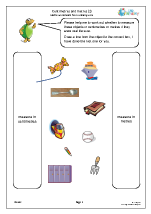 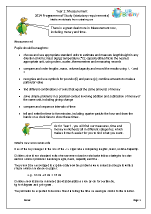 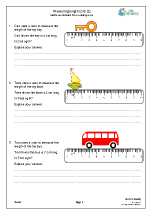 Our worksheets provide plenty of opportunity for practical work as it is important that children choose and use appropriate units to estimate and measure and can read the numbered divisions on a scale. 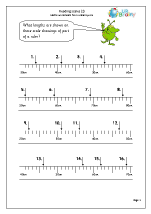 Admittedly it was a long time ago, but, when I was a boy I did not come across the more than and less than signs (> <) until I was at Grammar School. Over the years these two signs have crept into the primary curriculum and down the age groups until now they have reached Year 2. 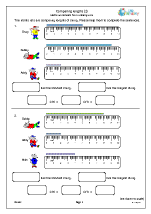 This is pretty challenging stuff, especially for those children who are prone to reversing digits, letters etc. 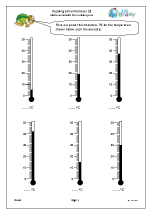 and many will find it difficult to remember which sign is which. 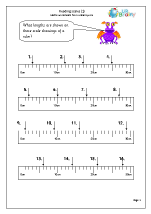 I always remember them as the arrow points to the smaller number. 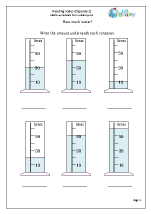 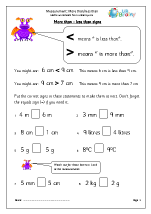 Interestingly, in the new curriculum which is being introduced, these signs first appear in the Year 2 Measurement category, so that is where we have placed our latest set of ‘More Than and Less Than’ worksheets. 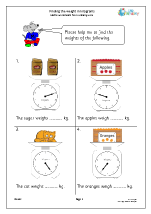 Also available in our Year 2 Measurement category is an excellent set of pages on turning clockwise and anticlockwise. 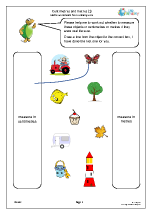 Children often have problems with turning left or right and it is no different with clockwise and anticlockwise. 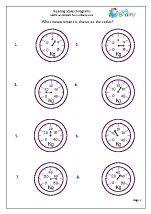 They will need plenty of practice with clock faces and reading the time before getting to grips with these quarter, half and three quarter turns.